Well, it has been quite a while since we talked about feeding baby, huh? I guess I was all caught up in playing mama and got too busy to share what I was making for our daughter, Ella. I had planned and shot a couple of posts along the way but they never made it here. Now Ella is 13 months and a lot has changed since we first introduced purees. Have you read Luisa's new column on Cooking for Hugo over at the Wednesday Chef? The second entry touches on the concept of baby lead weaning. I didn't realize this was a thing, but at about 8 months Ella decided she wasn't really interested in anymore purees. She wanted to eat what we were eating. So I started cooking small vegetable pieces for her and letting her feed herself from her highchair tray. She'd still let us spoon feed her things like soup, oatmeal, or yogurt, if we were eating it too. Well late last week, Ella decided that no one else could feed her. She must feed her self. Oh, and, she wants to use the spoon. Her fine motor skills are developing nicely and most things make it from the bowl to her mouth on the spoon, but certain things don't fair as well; I'm thinking of the rice that flew around the dining room on Sunday. We'd settled into a nice routine of oatmeal + fruit for week day breakfasts before Ella had set her mind to self feeding. I'd make a big pot on Monday and we'd reheat and eat the leftovers throughout the week. The weekends are for pancakes and scrambled eggs. I had started this week the same, big pot of oatmeal, and by Tuesday realized I needed a different game plan unless I wanted oatmeal plastered walls. That's where these mini-muffins come in. Ella still gets to feed herself oatmeal and I don't have to scrub it off the walls. I used white whole wheat flour and added some Tiny Fruit that was starting to get soft. She still has a banana or a soft pear with her mini-muffins, but she couldn't be happier. 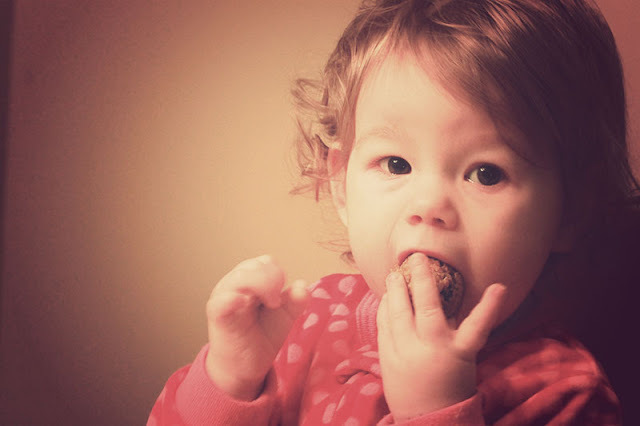 My girl is a bread fiend - much like her mama - and was delighted to get bread for breakfast! 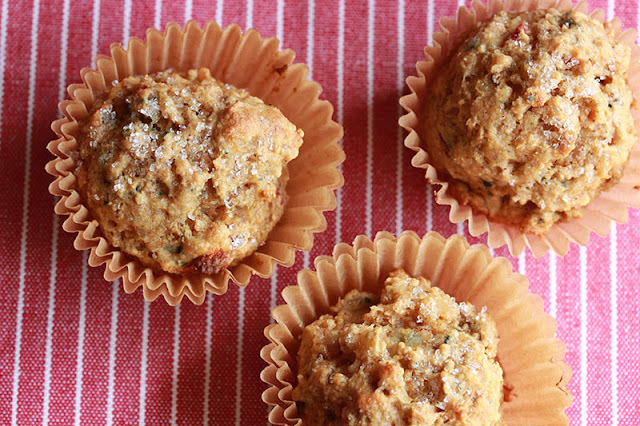 Heat the oven to 400˚F and line a muffin pan with muffin liners. Combine the flour, sugar, baking powder and salt in a large mixing bowl. Whisk together the egg, milk, oil. Add the oatmeal to the wet mixture and stir to break-up the oats. Add the wet ingredients to the dry mixture and add the dried fruit, if using; stir until the just combined. Distribute the batter evenly between the prepared muffin cups. 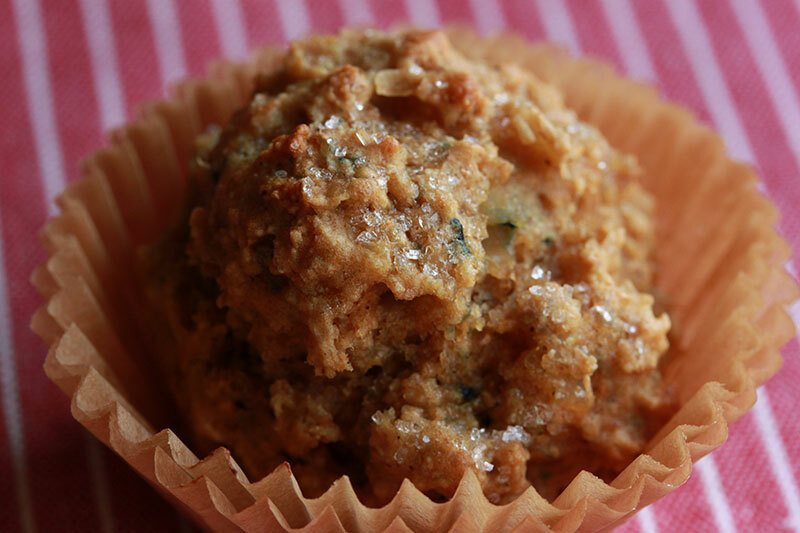 I used about two tablespoons for the miniature muffins and about 1/3 cup for standard size muffins. Bake 12-14 minutes, rotating the pan half way through. Cool and store in an airtight container. Tell me, do you have a self feeding little one? 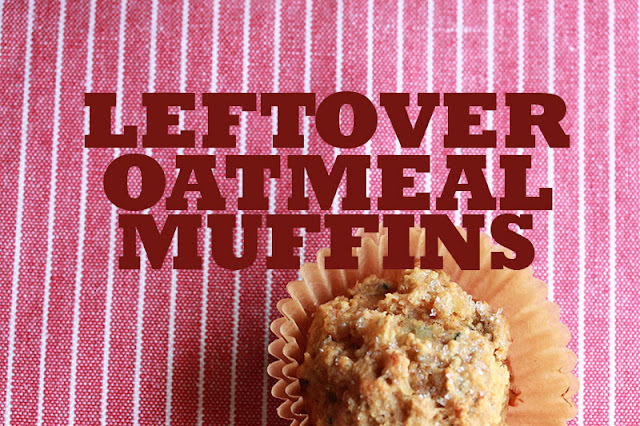 Whats your favorite use of leftover oatmeal? Good thinking...even for those of us who are well-versed in feeding ourselves. I often make more oatmeal than I can eat, so this is a good strategy to utilize those leftovers. Thanks!